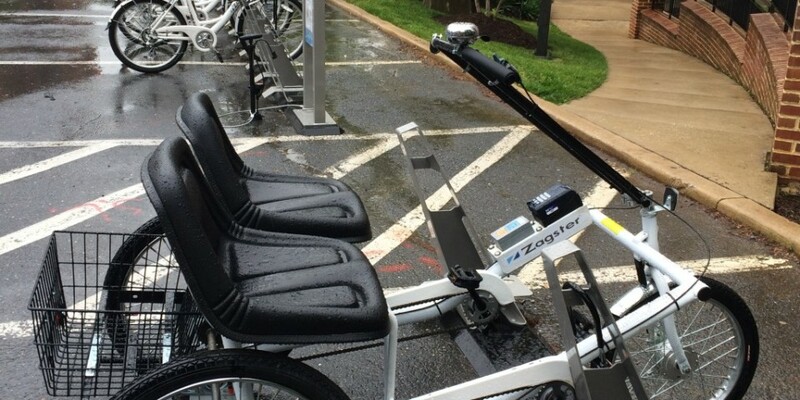 A new bikesharing system, mBike, recently launched in a partnership between the city of College Park, the University of Maryland, and bikeshare operator Zagster. The mBike program has 125 bikes that serves students, faculty, staff, and residents on the university campus and in the surrounding city. Though it’s not compatible with Capital Bikeshare, what’s particularly notable for the new system is its inclusion of five accessible bikes. 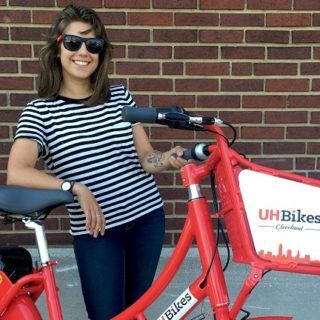 Similar to existing Zagster bikeshare programs in Carmel, Indiana, and at The Ohio State University, mBike provides several different types of accessible bikes. 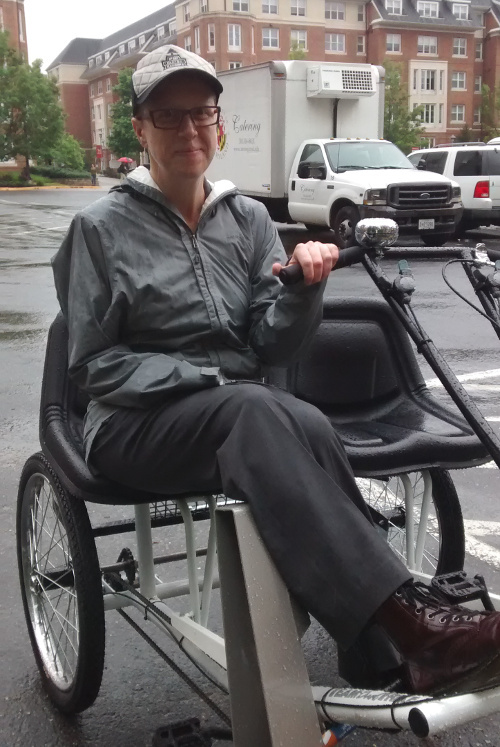 Users who may be unable to ride a typical two-wheel bike without a modification (like me) can choose from two tricycles, two side-by-side bikes (similar to a tandem, but side by side), or one handcycle. Beyond the design, the bikes operate the same as the rest of the system, and can be returned to any of College Park’s 14 stations. The system is not yet perfect – with so few accessible bikes, it can be difficult to find them amongst all the others. I spent a good 45 minutes at Ohio State with my mom last fall searching for the handcycle option, which works best for me. Zagster has said it is working on a solution to this. Still, once I’m on the bike, I’m loving it. Bikeshare has become popular in cities around the world, providing people who do not own a bike – or who may want to only bike a short distance in a city – with the chance to ride. 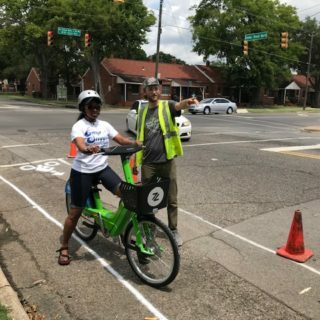 And as it’s grown, advocates have raised the need to ensure all community members are benefiting from bikeshare programs. 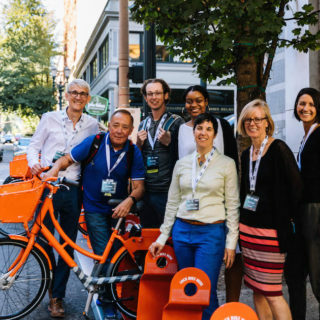 This goal of inclusion is spreading: the Federal Transit Administration is encouraging transit agencies and jurisdictions to integrate bikesharing and other modes of “mobility on demand” with public transportation. In its MOD Sandbox funding program, the FTA includes in its guiding principles the need for “equity of service delivery” to low-income communities, the aging population, and people with disabilities, including wheelchair users. Personally, I’ve been working alongside bicycle and pedestrian advocates for the past few years, and have friends who work for and use bikeshare systems, but the docking stations around D.C. barely register on my mind because they are inaccessible to me. To suddenly have access to a new technology that so many others take for granted is akin to being granted a door to another world. That should be the goal for every transportation program and service: to ensure access for all. I hope the notion that bikeshare can be available for different body types will spread. Our transportation options should reflect and serve the communities that we live in – and that means ensuring sidewalks, busses, trains, taxis, TNCs, and bikeshares are accessible to, and benefit, all of us. This post originally appeared on Mobility Lab and has been republished here with permission.